1 inch Round Flat, Flat Back. **Sold with no adhesive. Having no adhesive on them allows you greater flexibility in your method of attaching them to your projects. Glue them flat to a project using Ranger's Glossy Accents or Multi Medium. Or use double sided foam tape to give them additional dimension on your projects. 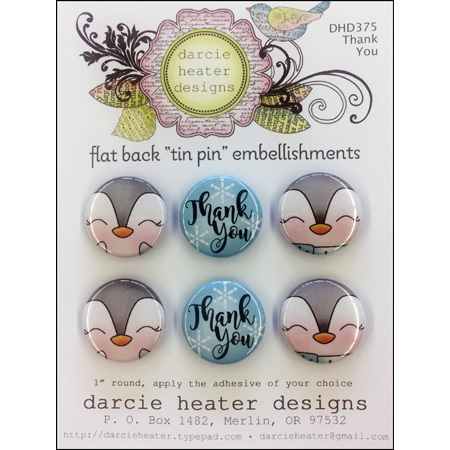 You can also glue a magnet to the back side, to use them on magnetic memo boards or on Darcie's Magnetic Tin Pin Calendars.